Newark Day Services move as significant £15m scheme starts. THE highly-anticipated project to develop the new Orchard School and enhanced Day Care Services in Newark has made significant progress this week. As part of the £15 million scheme, which recently achieved planning, the existing Newark Day Service has moved from London Road to a temporary location at Woods Court on Walker Close for 12 months. There will be no changes in day services offered, which caters for adults with disabilities and older people and the building has been adapted to meet the service users’ needs. This milestone allows demolition works to start at the London Road building, creating space for the new Orchard School and a new enhanced day care facility, which will be built on the site of the former Grove Leisure Centre, regenerating a disused area of land and transforming it into state-of-the-art education and care services. The Nottinghamshire County Council development, which is being delivered by Arc Partnership – a joint venture between Nottinghamshire County Council and Scape Group – is set to be completed in April 2020. By consolidating two existing sites in Newark and Balderton, the new school will cater for up to 140 pupils with Special Educational Needs. It will include a hydrotherapy pool and will be capable of further expansion to 170 places in the future. “I am delighted that we have made a start on the project so soon after receiving planning permission. “Maintaining the same level of day care services throughout the building works has been a priority for us and I am pleased we have been able to efficiently relocate the day care services to a suitable location while we develop a much better space for day care users. Funded by Nottinghamshire County Council and the Education and Skills Funding Agency, the project is being delivered by Arc Partnership, which has appointed local contractors Willmott Dixon and G F Tomlinson to build the facilities. 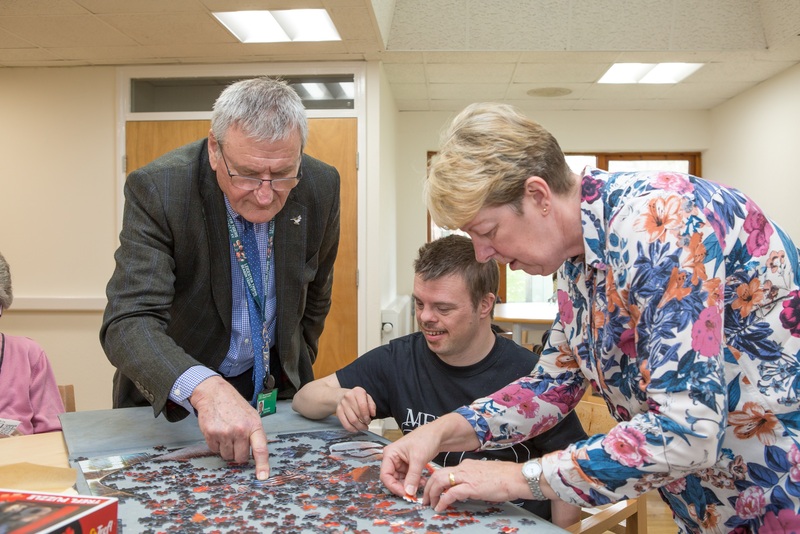 Picture caption: Councillor Stuart Wallace, Chairman of Nottinghamshire County Council’s Adult Social Care and Public Health Committee, lends a hand to complete a jigsaw.